A Special Report: As Defense Secretary Robert Gates prepares to retire in late June, he is routinely lauded as a “wise man” committed to telling it like it is, even making a frank comment this week about how “most governments lie to each other.” But Gates’s own record for honesty is a deeply checkered one, Robert Parry reports. Gates’s Realpolitik answer before the Senate Appropriations Committee drew appreciative laughter from the audience and the usual press kudos for his “refreshing candor,” but Gates’s response could also be a reminder about his own dubious honesty regarding his role in major government scandals. After all, if “most governments lie to each other,” it follows that government officials do the lying and the U.S. government is not immune from the practice. So, if Gates felt that his work for past presidents while he was at the CIA or the White House needed to be protected by lying, would he lie? Despite his current reputation for candor, Gates’s honesty or lack thereof was a key issue during his earlier incarnation as a young, ambitious national security bureaucrat elbowing his way through the corridors of Washington power in the 1980s and early 1990s. For various reasons, from his personal charm to his powerful patrons, Gates evaded serious investigations of his questionable activities in those years. Both in official testimony then and in his 1996 memoir, From the Shadows, Gates provided only sweeping denials of accusations coming from both U.S. government co-workers and international intelligence operatives. Gates relied on his influential allies in the Executive Branch, Congress and the Washington press corps to shut down any full-scale examination of what he actually did. Thus, Gates emerged from several scandals mostly relating to secret dealings with Iran, Iraq and Israel relatively unscathed. However, two decades ago, U.S. history could have taken a very different course if Gates and his cohorts had faced real accountability and their secrets had been exposed. That more contentious route was opened in 1991 when President George H.W. Bush nominated Gates, then Bush’s deputy national security adviser, to become CIA director. Indeed, Bush’s selection of Gates represented its own mystery: Why would Bush risk adding fuel to still-smoldering investigative fires, especially since Gates’s first nomination to head the CIA had been rebuffed by the Senate in 1987 because of doubts about his honesty regarding the Iran-Contra scandal? Did Bush’s stratospheric poll numbers after the Persian Gulf War create a sense of hubris, or was the President desperate, needing a co-conspirator at the CIA’s helm to stop dangerous disclosures of incriminating information? 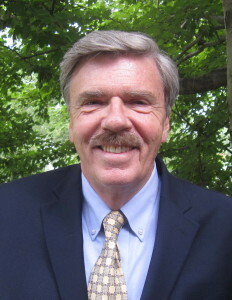 –The Iran-Contra investigation led by special prosecutor Lawrence Walsh, who had just penetrated a long-running White House cover-up of the secret arms deals from 1985-86 and who had revealed the hidden role of the CIA where Gates had lurked in the background as the agency’s deputy director. –The October Surprise case, an Iran-Contra prequel of secret dealings with Iran dating back to the 1980 presidential campaign, an inquiry which finally had reached a critical mass of congressional interest amid belated mainstream press attention (with Gates and Bush linked to those allegations as well). –Iraq-gate, suspicions that President Ronald Reagan and then-Vice President George H.W. Bush had covertly aided and armed Iraq’s dictator Saddam Hussein in the 1980s, which represented an embarrassment given the just-completed Persian Gulf War against Hussein (with Gates again implicated in those secret dealings on behalf of Reagan and Bush). –Politicization of U.S. intelligence, a behind-the-scenes dispute at the CIA which was brought into the daylight by veteran CIA analysts who accused Gates of waging bureaucratic war on their independent judgment and giving the Reagan administration pre-cooked conclusions to support desired policies. Besides his high poll numbers in 1991, President Bush had other reasons to feel confident about making his protÃ©gÃ©, Gates, head of the CIA. Though Democrats controlled Congress, they had little stomach for a pitched battle over national security issues. They had already retreated on the Iran-Contra Affair and the related Contra-cocaine scandal. By contrast, emboldened congressional Republicans were ready to fight any new investigative threat to their party’s hold on the White House. Also, after more than a decade of Reagan-Bush rule, the Washington press corps had gone from standing upright in the 1970s to being “on bended knee” before Reagan in the 1980s as author Mark Hertsgaard put it to nearly prostrate under Bush-41. The smart play for an ambitious national journalist was to take the Reagan-Bush side on almost any topic and mock anyone who gave credence to allegations of serious government wrongdoing. 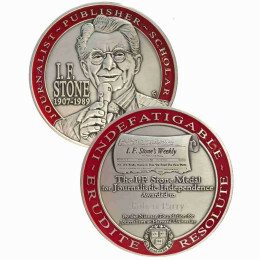 Indeed, the media Zeitgeist of 1991 was a preview of the behavior of Washington journalists a dozen years later when they fell in line behind President George W. Bush’s progression toward war with Iraq and marched in lock step behind his false claims about Iraq’s weapons of mass destruction. In both cases, in 1991 and 2003, staying obedient was the smart career play. In 1991, part of the media’s role in running interference for Gates involved rejecting the testimony of witnesses who implicated Gates in various scandals starting with the alleged back-channel negotiations with Iran in 1980, through the arming of Iraq’s Saddam Hussein in the mid-1980s, to the Iran-Contra scandal which broke open in late 1986. Responsible for Gates’s CIA confirmation in 1991, Sen. David Boren, chairman of the Senate Intelligence Committee, brushed aside two witnesses who connected Gates to those illicit schemes, former Israeli intelligence official Ari Ben-Menashe and Iranian businessman Richard Babayan. Both offered detailed accounts about Gates’s alleged links to the arms transfers. In an interview with PBS “Frontline,” Boren promised to question Babayan about his claims of secret U.S. support for Iraq’s Saddam Hussein during the Iran-Iraq War in the 1980s, but Boren reneged when Gates issued a denial of the Iraq-gate charges. But who was lying, Babayan or Gates? The shoddiness of Boren’s investigation became apparent four years later in January 1995 when Howard Teicher, one of Reagan’s National Security Council officials, added more details about Gates’s role in the Iraq shipments. In a sworn affidavit submitted in a Florida criminal case, Teicher stated that the covert arming of Iraq dated back to spring 1982 when Iran had gained the upper hand in the war, leading President Reagan to authorize a U.S. tilt toward Saddam Hussein. The effort to arm the Iraqis was “spearheaded” by CIA Director William Casey and involved his deputy, Robert Gates, according to Teicher’s affidavit. “The CIA, including both CIA Director Casey and Deputy Director Gates, knew of, approved of, and assisted in the sale of non-U.S. origin military weapons, ammunition and vehicles to Iraq,” Teicher wrote. That same pro-Iraq initiative involved Donald Rumsfeld, then Reagan’s special emissary to the Middle East. An infamous photograph from 1983 showed a smiling Rumsfeld shaking hands with Saddam Hussein. But Teicher described Gates’s role as far more substantive than Rumsfeld’s. “Under CIA Director Casey and Deputy Director Gates, the CIA authorized, approved and assisted [Chilean arms dealer Carlos] Cardoen in the manufacture and sale of cluster bombs and other munitions to Iraq,” Teicher wrote. Even in 1995, during the Clinton administration (when Teicher’s affidavit was submitted), the Iraq-gate allegations were not seriously examined. In 1991, Boren and his committee staff also swatted away Ben-Menashe’s accounts of Gates as the point man for the CIA’s covert supplying of Iraq in the 1980s. In interviews with me, Ben-Menashe described a personal relationship with Gates dating back to the 1970s when both men were aspiring intelligence officers working for their respective governments. Ben-Menashe claimed that his mother even made meals for Gates when he was visiting Israel. When Ben-Menashe began talking to the press in 1990 after he was arrested in the United States on charges of selling planes to Iran, Israeli authorities deemed him as an impostor who never worked for the government, but had to back track when I obtained documentary evidence showing that Ben-Menashe had served as an operations officer for a unit of Israeli military intelligence from 1977 to 1987. U.S. journalists with close ties to the Israeli Right, such as Steven Emerson, began parroting Israel’s fallback position on Ben-Menashe, that he was only a “low-level translator.” That talking point gained currency even though well-placed Israeli officials privately dismissed it as just another cover story. But Ben-Menashe’s claimed relationship with Gates represented a real test of his credibility. Some well-respected journalists, including Hersh, doubted Ben-Menashe’s story about knowing Gates because Gates had been a Soviet analyst during his early career at the CIA and thus, presumably, would have no reason to become operationally involved with an Israeli intelligence officer. I, too, was skeptical of Ben-Menashe’s claims about Gates. But I later learned from Gates’s CIA co-workers that his duties as a Soviet analyst involved Moscow’s policies toward the Middle East, offering a plausible reason for Gates to have spent time meeting intelligence officials in Israel. It also struck me as odd that Ben-Menashe would have dredged up Gates’s name during interviews with me and other journalists in 1990 because by then Gates had slipped back into relative obscurity as a deputy director at Bush-41’s National Security Council staff. If the Israeli had wanted to puff himself up about knowing someone important in the U.S. government, why pick Gates? My trying to disprove Ben-Menashe’s claims about Gates and thus punch a major hole in the Israeli’s credibility became a regular feature in my periodic contacts with Ben-Menashe. Once when I met Ben-Menashe’s aging mother during a visit to the United States, I popped a question about whether she recalled making meals for Robert Gates. Her eyes immediately brightened and she responded in the affirmative. “Yes, Bobby Gates,” she said. I thought I had Ben-Menashe tripped up another time after he insisted he had met with Gates in April 1989 during a trip to Paramus, New Jersey. I even pinned the time down, to the afternoon of April 20, 1989 because Ben-Menashe had been under Customs surveillance that morning. Since Gates denied knowing Ben-Menashe at all, it was a perfect test for determining which one was lying. It was before Gates’s CIA confirmation, so I brought the information about the alleged New Jersey meeting to Senate Intelligence Committee staffers. They checked on Gates’s whereabouts and came back to me, laughing. They said Gates had a perfect alibi for that day. They said Gates had been with Sen. Boren at a speech in Oklahoma. But when I cross-checked that claim, it turned out that Gates’s Oklahoma speech had been on April 19, a day earlier, and that Boren had not been present. I also discovered that Gates had returned to Washington by that evening. So where was Gates the next day? Could he have taken a quick trip to northern New Jersey? Since senior White House national security officials keep detailed daily calendars, it should have been easy for Boren’s investigators to check Gates’s scheduled meetings and corroborate his alibi with a few interviews. After I pointed out their screw-up on the Oklahoma speech, the committee staffers agreed to check again on the right date. They later called me back saying that Gates’s personal White House calendar showed no trip to New Jersey and that Gates had denied taking such a trip. That was good enough for the committee, they said. But the investigators couldn’t (or wouldn’t) tell me where Gates was that afternoon or with whom. They also acknowledged that they interviewed no alibi witnesses. And they rebuffed my later request to review their copy of Gates’s calendar, which they claimed to have returned to him. For his part, Gates wrote in his memoir that “the allegations of meetings with me around the world were easily disproved for the committee by my travel records, calendars, and countless witnesses.” But none of Gates’s supportive evidence was made public by Gates, by the Intelligence Committee, or by later inquiries into the Iran-hostage allegations or the Iraq-gate scandal. Not one of Gates’s “countless witnesses” who could vouch for Gates’s whereabouts was identified. Perhaps most galling for those of us who were trying to assess Ben-Menashe’s credibility was the committee’s failure in 1991 to fully test Ben-Menashe’s claim about the April 20, 1989, meeting. It wasn’t until 2007 after Gates had become George W. Bush’s Defense Secretary (replacing Donald Rumsfeld) that I finally secured a copy of Gates’s calendar from the National Archives, via a Freedom of Information Act request. I quickly leafed through the FOIA packet and pulled out the April 20, 1989, page. I finally thought I had the proof to confront Ben-Menashe with a clear-cut lie. The calendar showed Gates with a full slate of White House meetings through the afternoon, including a public signing ceremony for the Space Council at 1:05 p.m., an Oval Office meeting with Belize’s Prime Minister Manuel Esquivel at 3 p.m., and a session with two journalists John Cochran and Sandy Gilmore at 4 p.m. However, before I challenged Ben-Menashe to his face, I thought I should check out the calendar as best I could, given the lapse of 18 years and the likelihood that memories of Gates’s routine meetings with White House staff might be especially hazy. Still, I could ask the archivists at the George H.W. Bush Library to check for photos of the public signing event. A picture of Gates would surely nail down that part of the time window. There also are sign-in sheets for Oval Office meetings like the one with the prime minister, so that would cover mid-afternoon. And the reporters might recall a White House sit-down with Gates. It didn’t seem likely that Ben-Menashe could slip away from such conclusive proof. So, at my request, the archivists located both still photos and video footage of the Space Council event. The images covered pretty much the entire room, but to my surprise, Gates was nowhere to be seen. I then got the sign-in sheet for the Oval Office meeting. Gates’s name was missing. When I tracked down the two reporters, neither had any recollection of the interview with Gates. In other words, there were still holes in Gates’s alibi for the time frame that Ben-Menashe had indicated for their meeting in northern New Jersey. Although these lapses do not prove that Gates did sneak off for a quick trip, the gaps did kill my plan of confronting the Israeli with hard evidence that he had lied. The flawed alibi also represents another indictment of the Senate Intelligence Committee under Boren and his then-chief of staff George Tenet. In 1991, it would have been simple to check with Gates’s alibi witnesses whose memories would have been much fresher and who could have easily checked their notes. Instead, Boren and Tenet essentially accepted Gates’s word and the reliability of his calendar entries, which at least in several instances appeared to be false. In his 1996 memoir, Gates thanked his friend, David Boren, for pushing through his CIA nomination. “David took it as a personal challenge to get me confirmed,” Gates wrote. The dismissal of Ben-Menashe’s claim that he met with Gates in April 1989 had consequences for other related investigations, since Ben-Menashe also had placed Gates, along with George H.W. Bush, at a secret meeting between Republicans and Iranians in Paris in October 1980. That was when Jimmy Carter was still president and 52 Americans were being held hostage in Iran. According to Ben-Menashe, Israeli intelligence officers were in Paris to coordinate arms shipments to Iran that the Republicans would approve once Ronald Reagan entered the White House in January 1981. In October 1980, Bush was Reagan’s vice presidential running mate, and Carter was desperate to gain freedom for the hostages before the November 1980 election. The repudiation of Ben-Menashe’s credibility helped shut the door on a 1992 congressional inquiry into the so-called October Surprise case, despite a good deal of corroborating evidence of a Republican-Iranian deal in Paris. 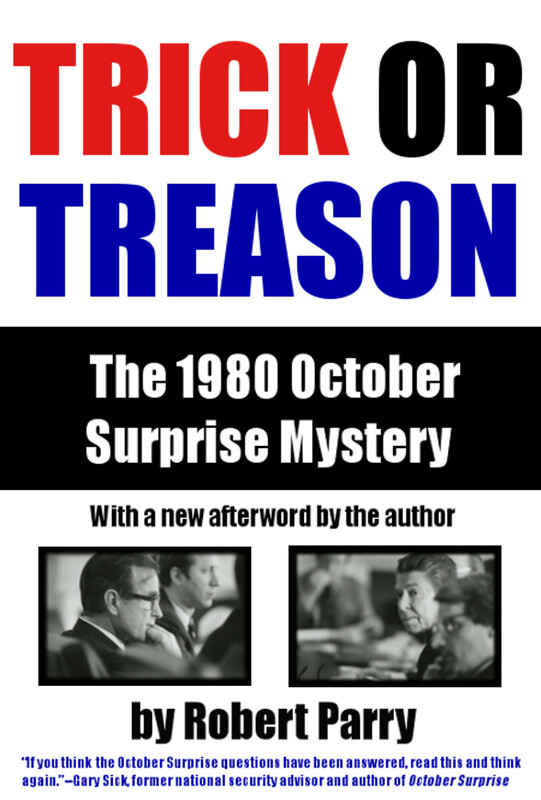 The House October Surprise Task Force was wrapping in December 1992 with a finding of Reagan-Bush innocence when a flood of evidence incriminating the Republicans arrived late (enough to prompt chief counsel Lawrence Barcella to unsuccessfully request an extention of the inquiry). Instead, the task force leaders Reps. Lee Hamilton, D-Indiana, and Henry Hyde, R-Illinois chose to press ahead with the previous conclusion, that there was no credible evidence implicating Reagan, Bush, Gates or Casey, who had been Reagan’s campaign chief in 1980. But there was still one more twist for the task force. In January 1993, just days before the task force findings were due for release, an extraordinary report was delivered from the Russian government, responding to an earlier request for information from Hamilton. According to this Russian report, Soviet-era intelligence records revealed that Bush, Gates and Casey participated in secret contacts with Iranian officials to delay release of the U.S. hostages in Iran. “R[obert] Gates, at that time a staffer of the National Security Council in the administration of Jimmy Carter, and former CIA Director George Bush also took part” in a meeting in Paris in October 1980, according to the Russian report. Despite its explosive information, the Russian Report was kept hidden by the House October Surprise Task Force, which went ahead with its exculpatory findings. Later, I discovered the report when I gained access to some of the task force’s unpublished files. Despite lingering uncertainties about the details of the October Surprise case, what is beyond dispute is that once in office, President Reagan did permit weapons to flow to Iran via Israel. One of the Israeli planes carrying an arms shipment was shot down over the Soviet Union on July 18, 1981, after straying off course, but the incident drew little attention at the time. For his part, Gates also denied any wrongdoing in the Iran-Contra arms-for-hostage deal and expressed only one significant regret that he acquiesced to the decision to withhold from Congress the Jan. 17, 1986, presidential intelligence “finding” that gave some legal cover to the Iran arms shipments. Besides the questions about whether Gates lied to protect himself and his superiors in these scandals involving Iran, Iraq and Israel, Gates also faced charges from senior colleagues inside the CIA’s analytical division that he corrupted their standards for providing honest assessments to U.S. policymakers. Once Casey became Reagan’s CIA director in 1981, Gates was put on the fast track for career success. Shoving aside more senior officials, Gates rose quickly to head the CIA’s analytical division, where he reversed decades of CIA traditions regarding objective analysis. In that job and later as Casey’s deputy director Gates oversaw an analytical division that began exaggerating dangers abroad to justify Reagan’s massive military buildup. Instead of seeing the signs of a coming Soviet collapse, Gates’s analytical product conjured up a Soviet empire gaining on all fronts. To fit with Reagan’s geopolitical needs, Gates’s CIA also downplayed real dangers that ironically would emerge as greater threats today. For instance, analysts who warned about Pakistan’s secret work on a nuclear bomb were ignored and even punished, apparently because the Reagan administration needed Pakistan’s help in supporting anti-Soviet mujahedeen rebels in Afghanistan. At Wednesday’s hearing before the Senate Appropriations Committee, which was billed as his last congressional appearance as Defense Secretary, Gates was depicted in the media as a straight talker who had run out of patience with America’s erstwhile allies and the political posturing of Congress. Despite his curt responses to questions from Leahy and others, the New York Times reported that “Wednesday’s hearing … was in fact mostly a lovefest as members of the committee lavished praise on Mr. Gates. On June 30 he is to walk out of the Pentagon and into a life of writing books lakeside near Seattle. ← Was Bob Gates a Success?